I almost forgot to get this up and posted. Thank goodness, I had already made my earrings and just needed to get some pics done. 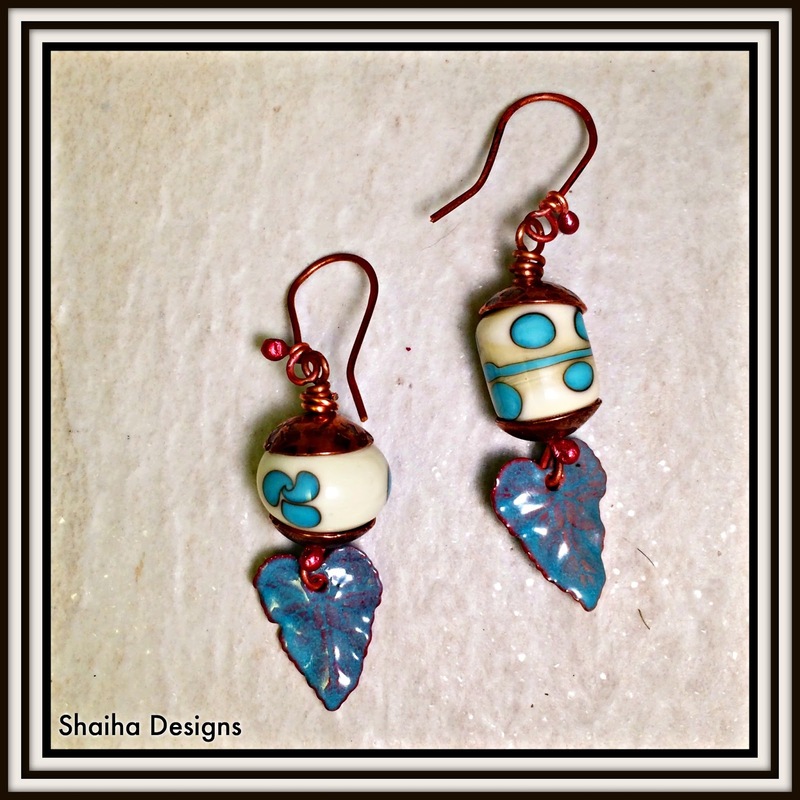 This pair is made using beads,enameled leaves and hand forged bead caps all from Sue Beads. Since these were sent as part of the Swap N Hop treasures, I plan on keeping them for myself. This next pair is made using some polymer dangles made by JKD Studios and some Czech glass. I haven't decided yet whether they are going to be donated or added to my shop. What do you think? 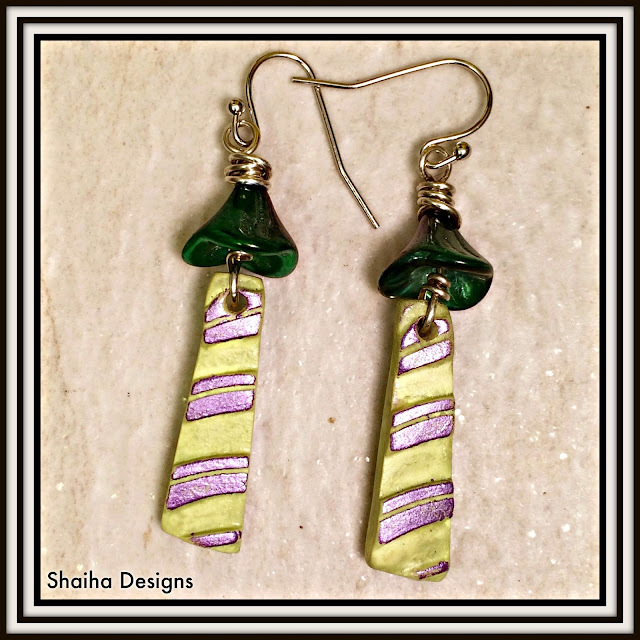 Now these New Earrings Monday is actually the brainchild of SaraJo of SJ Designs and there are several different designers who join in on the fun. So be sure to click on the link to see what everyone else has made in the last couple weeks. Ooh. Love that pair with all the Sue Beads! I'd keep them for myself too. This week sort of snuck up on me too... thanks for playing along!